The Samsung Droid Charge had a rather disappointing launch when Verizon’s networks went down rapidly the very day of its launch. This also caused the delay of the Verizon Droid X2 which was supposed to launch yesterday. But now Verizon is all geared up for the Droid Charge’s re launch. The Droid Charge will be launched by Big Red today at midnight. This is one of those very few 4G LTE enabled devices on Big Red’s network. The Droid Charge won’t be available for a reasonable price though. You will have to spend $300 for a two year contract with Verizon to get your hands onto the device which some might think is overpriced but given its 4G capabilities, we think its quite okay. Okay now time for the specs of the device in case you forgot: The Droid Charge features a 4.3-inch Super AMOLED Plus display with a resolution of 480 x 800, an 8 MP camera on the back capable of recording HD video with a 1.3 MP front facing camera for video calls, a 1 GHz Hummingbird CPU and Android 2.2 Froyo. 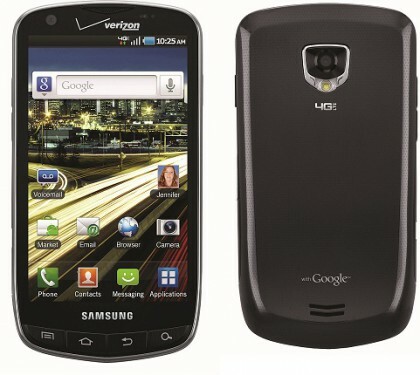 The Samsung Droid Charge now joins the HTC Thunderbolt in the list of Verizon’s 4G LTE enabled phones. Hopefully the device gets a better opening than what it got when it was launched earlier.